While much of the focus in the recent UNFCCC meeting in Bonn was on the protracted discussion around agenda and chair for the ADP (Ad-Hoc Working Group on the Durban Platform for Enhanced Action), some progress was made in other meeting rooms. On the middle Saturday a workshop was held for initial discussions around the call for a “New market Mechanism” (NMM). A report out from the workshop can be found here. So far, the discussion on a NMM has tended to focus on the crediting of mitigation activities in developing countries, such as the role performed by the CDM. The talk is often about up-scaling rather than having an initial discussion about the market conditions necessary for crediting to be effective or alternatively to ask what a market mechanism actually is. For some, the CDM can be represented as shown below. This is a very supply biased conversation, when in fact the full description of the mechanism must include both the creation of supply and the likely demand. 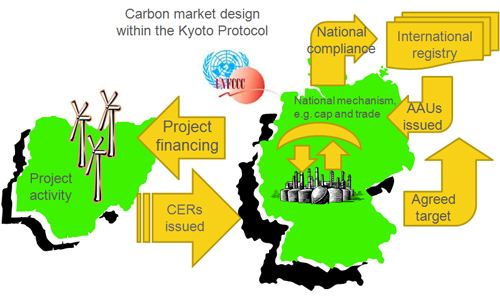 The mechanism is much broader than the CDM and involves the core design of the Kyoto Protocol and the various elements within it. Means by which the forces of demand and supply determine prices and quantities of goods and services offered for sale in a free market. The use of money exchanged by buyers and sellers with an open and understood system of value and time tradeoffs to produce the best distribution of goods and services. The process by which a market solves a problem of allocating resources, especially that of deciding how much of a good or service should be produced, but other such problems as well. The market mechanism is an alternative, for example, to having such decisions made by government. As the NMM discussion matures and eventually becomes part of the ADP, a much broader discussion on the need for a viable carbon market will be necessary. This cannot be limited to a discussion on crediting mechanisms because these, if standing alone, are not market mechanisms. A working mechanism requires some means of establishing price and particularly demand, a feature not inherent to the CDM. The assumption that demand for credits will somehow be created is arguably a flawed one. The Kyoto Protocol addressed this by assigning AAUs to certain countries and making the CER (from the CDM) a fungible instrument, thereby allowing interchange for compliance. The AAU approach created demand in countries that had compliance obligations which in turn completed the market mechanism. Nations that held AAUs tended to cascade the instrument directly into their economies or if not, a proxy (e.g. the EUA under the EU ETS). Either way, the compliance obligation remained and allowed private investors to participate in the market. There was a certain elegance in the market mechanism design of the Kyoto Protocol, one that shouldn’t be lost in the transition to a new international agreement. While it may not be smart politics in some quarters to highlight the benefits within the KP, the NMM discussion will do well to learn from what was developed in years gone by and not throw the baby out with the bathwater. Ok, so some money is collected from producers of CO2 (they pass the cost on customers) and collected money is used to finance projects which allegedly consume CO2 (don’t know why picture of wind turbine is shown – I would say it is inapropriate). All these scheme work in similar way and the only effect is the increased cost of energy, frauds and damage to the economy as the money would be invested far better otherwise. We might expect reduction of CO2 emissions mainly due to the economic decline. Siple tax on coal or oil production would do far better job and even create some much needed revenues to feed socialist governments. It is already implemented so all it needs is to beef up current taxes. E.g. cost of petrol could see target price over 3£/litre. All we need is a gradual increase so that people don’t protest too much. Rich people don’t care and poorer can cycle or buy motorbikes. Market mechanism are not perfect especially when left to “open” market for instruments such as cap and trade. We already see the implications of (imperfect) financial markets on our day to day life and volatility, short term attitude that is driving many decisions. The implications are not because of inherent structural imbalance in the underlying and corrections due to inherent supplydemand gap but largely because of imbalance induced by the so called market makers which are large financial institutions driven by different objectives. Thanks for the informative post David. Very interesting. 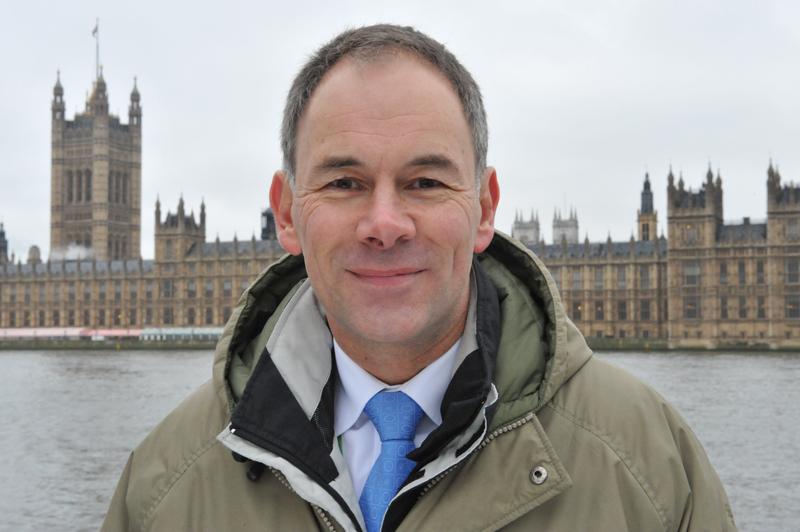 – As both pointed out, a CO2 tax would be preferable to a complex cap and trade system. A global tax on CO2 emissions is the solution most favoured by economists (who define it ‘Pareto’, i.e. optimally, efficient) and domestic variants are being implemented (Australia’s recent law is a good example). But a global tax is currently inconceivable, which is why we’re left with the current system. 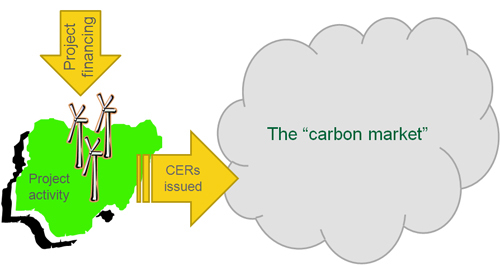 – Jiri refers to ‘projects which allegedly consume CO2’, but actually removing CO2 from the atmosphere (called ‘air capture’) is still very expensive (estimates range from a hypothetical $30 to $1000 per tonne of CO2), and technologies are not available to drive down cost or bring this approach to scale. 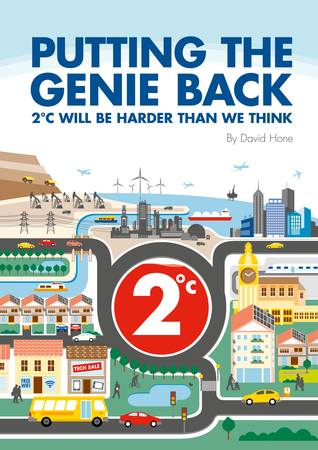 Instead the money is used to buy Certified Emission Reductions (CER – as referred to by David) which are units of avoided emissions. The wind turbine is the perfect because almost 70% of CER-registered project focus on renewable energy (see http://cdm.unfccc.int/Statistics/Registration/RegisteredProjByScopePieChart.html). While trading the absence of something is not conceptually watertight, it’s the best system we have developed so far.